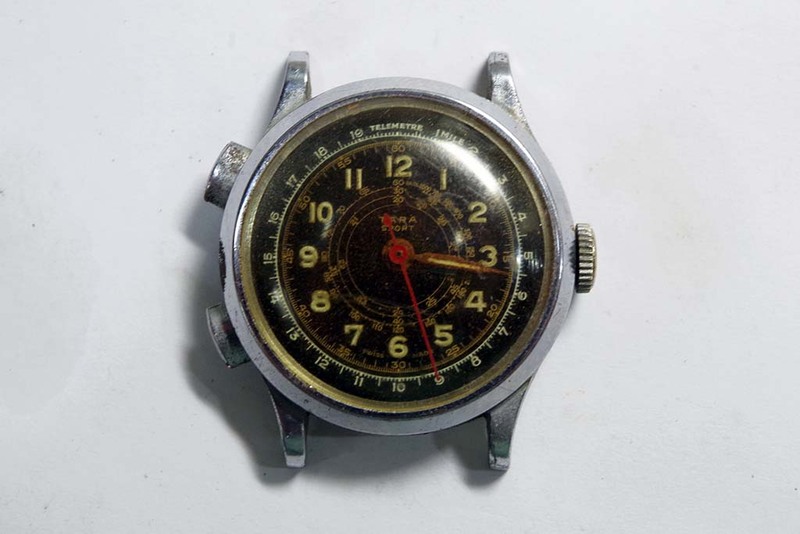 This fun watch is a classic old cigar box find. I was passing an antique mall and decided to stop in. Looking around I found a cigar box of watch parts for sale. I bought the box. After I left I looked in the box deeper. 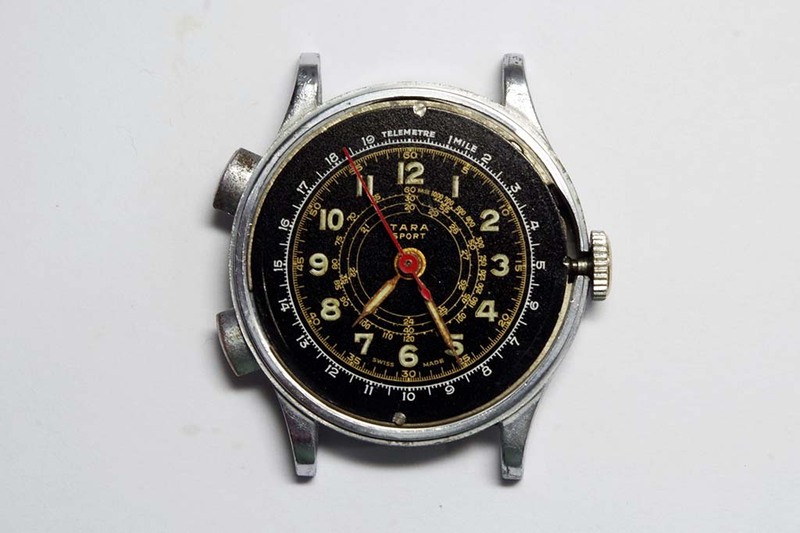 At the bottom of the box, I found this classic 1950’s pin lever chronograph watch. It was all original and complete but not working. 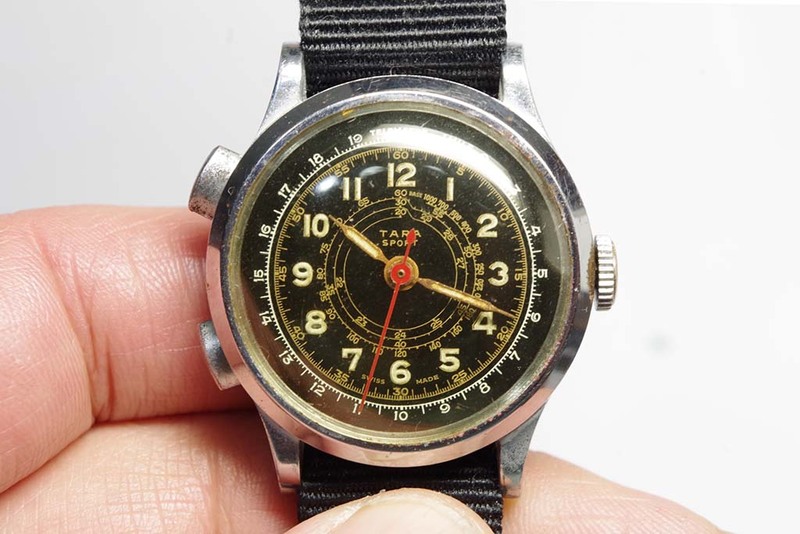 I disassembled the watch and overhauled it. 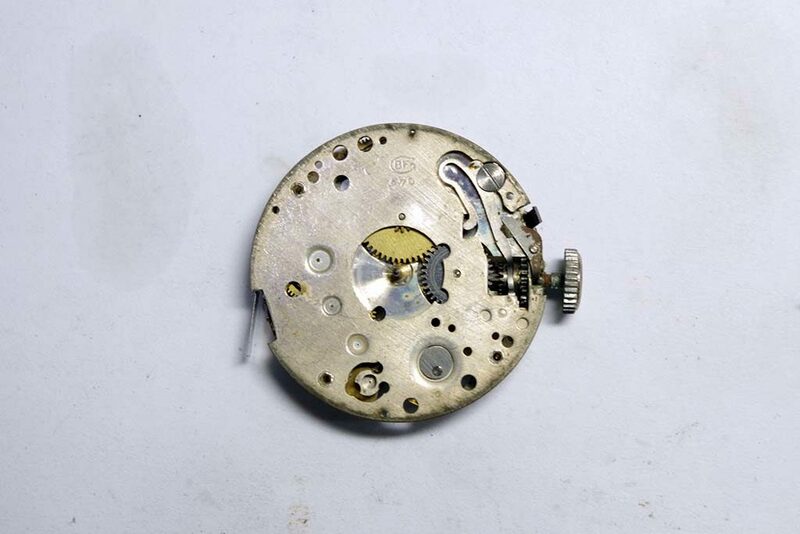 After cleaning it, I reinstalled and lubricated the movement. 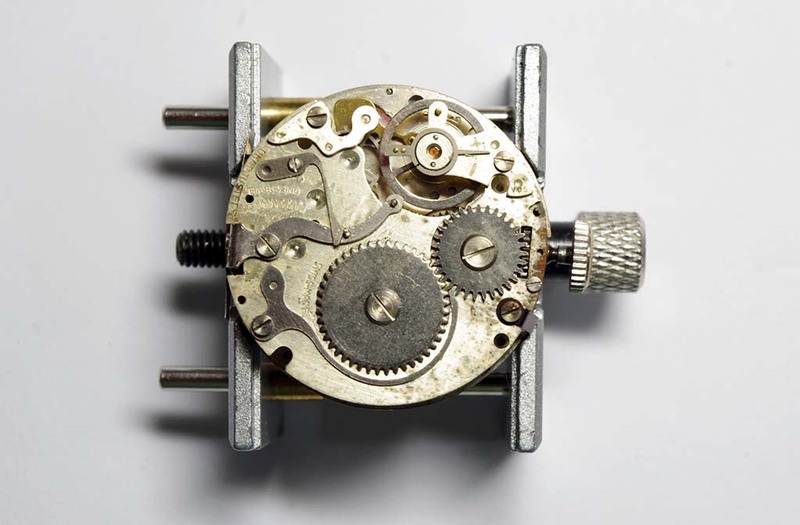 I regulated the movement and adjusted the chronograph stop function. 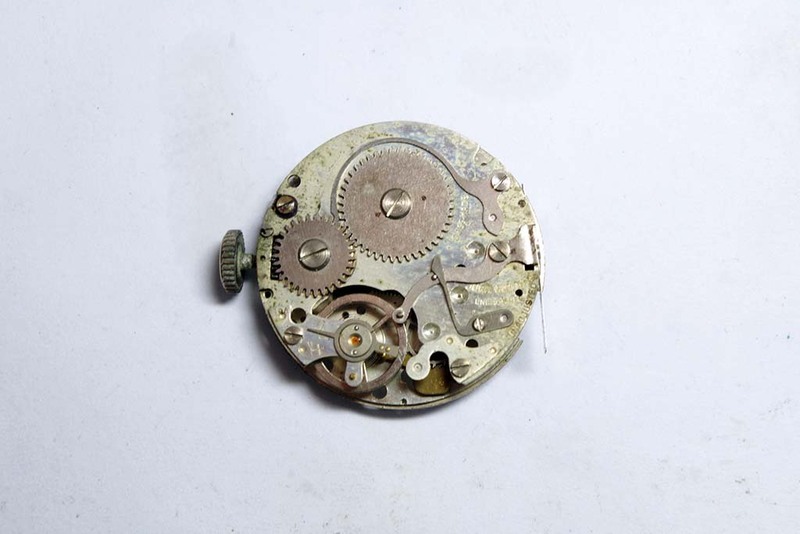 Also, the hairspring needed adjustment. This watch stops and starts the second’s hand by stopping the balance. 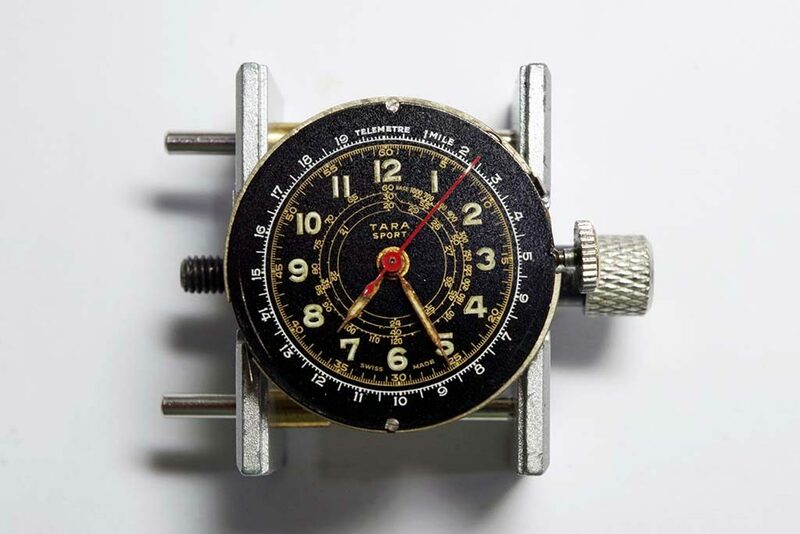 A simple chronograph function but works as a great stopwatch when needed. I cleaned the case and polished the crystal. 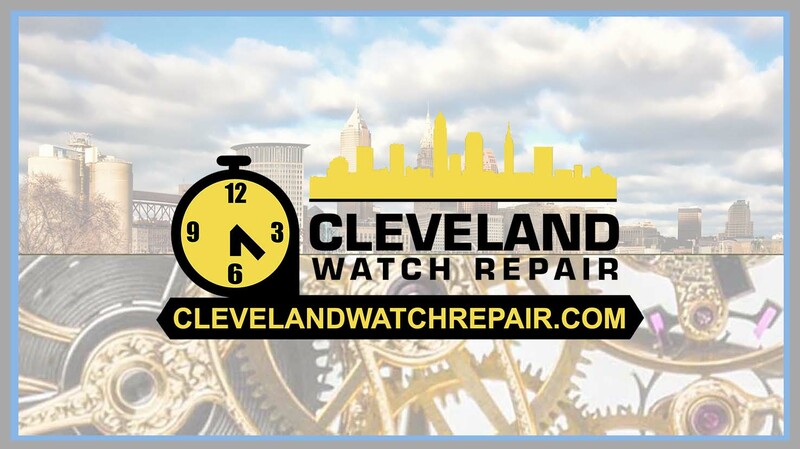 The watch is now running great and in all original condition. A great cigar box find.